Hey guys! My name is Jen and I got hooked up with an awesome job this summer. In short, I’m working to get thrown out of airplanes! I just recently earned enough for my first jump course. I got to complete that this past Sunday. I went to Independent Skydive Company 8am on a beautiful sunny morning and completed the mandatory 4 hours of ground school. So much information, so little time! I was so nervous by the time we got to get into the airplane. I had to calm myself down enough to think through my first steps when getting out. When we reached 3500ft the door swung open; I was second to get out of the plane (freaky watching your fellow student hanging off of the wing!). Climbing out was incredibly windy; I could barely talk to my instructor. I remember hanging off the plane wing, my feet dangling…and then letting go. My mind went crazy and I remember feeling the tug of the parachute opening. After checking if my parachute was in good condition, it was a calm beautiful ride to the ground. 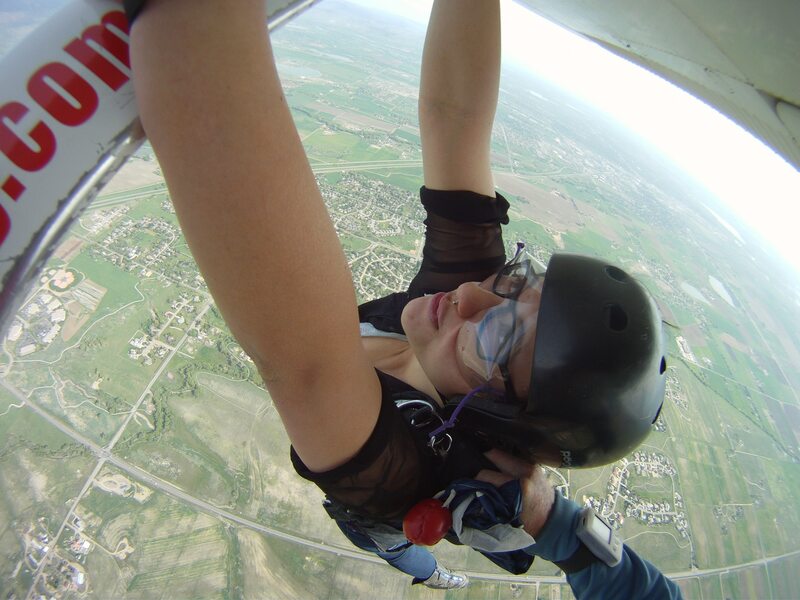 I couldn’t believe I was gliding through the air from 3500 ft up all the way to the ground by myself. I had an easy and happy landing and I can’t wait to do my second IAD Jump! 24 more jumps till I’m am a licensed skydiver! I finally earned enough for my second IAD jump the other day. For this jump, the goal was a practice pull, where I reach back and pretend to pull my own pilot chute out. I was still very nervous this jump. After some practice with movements on the ground, I got to head up into the air. Note to self: don’t try to pass gas in a Cessna 182. Got out again at about 3500 ft and slowly climbed towards the tip of the wing. I had to make sure my feet didn’t get blown off the tiny step out of the door. 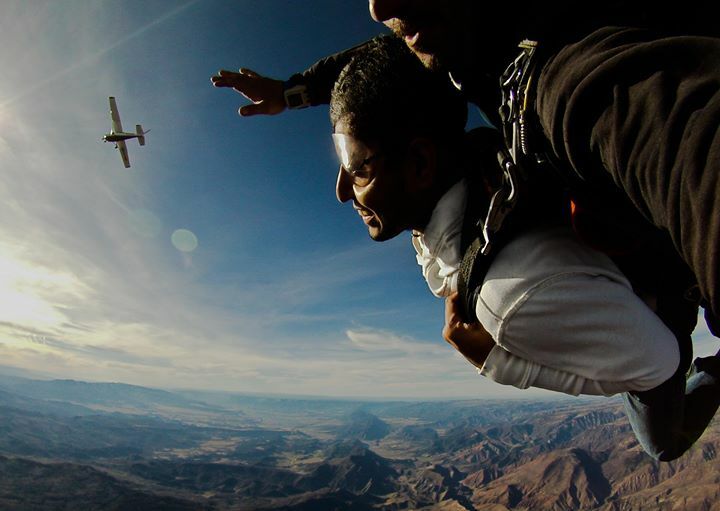 I’ve gotten good at calming myself down after I step out of the plane; after a bit of deep breathing, I let myself fall. I kicked a bit after letting go but luckily it didn’t cause any problems. Got my practice pull as my parachute opened, a little sloppy with my legs but I’ll get better! Played a little bit more with my parachute on the way down. This time my landing was a little rougher, I flared a tad too late and hit the ground a bit harder. Over all, it was a great jump; I’m getting more excited as I begin to feel more comfortable flinging myself from airplanes!